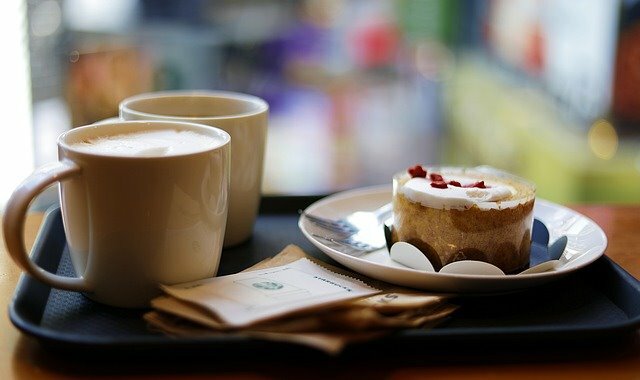 Starbucks Corp. (SBUX) is considering producing cannabis-infused beverages, this will make the company the first big chain company to enter the cannabis industry. But it will take some time before the deal becomes active. Recently, Cowan reported some analysis based on the CBD industry. According to the firm’s consumer, health care, industrials, and regulatory teams, the sale of non-psychoactive cannabidiol products is estimated to generate more than US$16 billion by 2025. Cowan’s senior research analyst, Vivien Azer who specializes in the beverage, tobacco, and cannabis sectors, references a rise in Google analytics, and multiplication in the number of hemp products selling on Amazon over the last couple of years, as proof of the growing industry. Nowadays, the medicinal cannabis compound is added to most beverages, coffee, and bath bombs. According to a report by Azur, the monthly proprietary consumer survey showed that about seven percent of respondents in January 2019 admitted to using CBD as a supplement. He also reported that the high interest in consumers is due to the increasing number of brands and form factors currently accessible through many different retail channels such as Amazon, Sephora, and Neiman Marcus. CBD infused beverages are highly sold in many independent coffee shops and restaurants, forcing lawmakers in several U.S. states to prohibit the use of CBD as an additive. Last month, the health department of New York City told bars and restaurants owners to cease from selling CBD infused food and drinks. According to U.S. Food and Drug Administration commissioner Scott Gottlieb, the food agency is seeking for ways to legalize the sale of CBD in food, beverages, and supplements. The chief executive officer of Starbucks, Kevin Johnson has said that it is not part of the company’s current plan to sell CBD infused coffee. Johnson said in an interview that the company is well aware of the trends surrounding CBD, TCH, and other compounds. He also said that the company plans on remaining above the top of consumer trends and new ideas. Johnson believes that there are multiple problems to take into consideration and currently, that’s not on the roadmap. According to Charles, Starbucks is an innovative beverage company in contrast to peers like Dunkin’ Brands Group, Inc. (DNKN), Tim Hortons (QSR.TO) and McDonald’s Corp. (MCD). In 2017, the company successfully expanded into beer and wine sales to increase their customer base. Charles also said that Starbucks has a lot of scientific, supply chain and federal barriers to clear before the sale of CBD drinks become effective. According to Charles, Starbucks should gain more knowledge about the history of the ingredient, in addition to the fundamental analysis of any new SKU surrounding the availability of supply chain availability. It also has to meet Starbucks’ high speed of service standards. Many countries plan to legalize cannabis: why? Why doctors don’t prescribe medical marijuana in UK?